anyone who provides a helpful service to us. I made a card for our mail carrier. I have noticed what this world needs now is love more kindness. In an effort to get back into the blogging world, I am participating in Jennifer McGuire's Share Handmade Kindness Challenge. A friend of mine had a stroke in September and is on the long road to recovery and rehabilitation. she was an avid card maker so I am trying to send her cards to cheer her up. This is basically what the trees look like in my backyard. The trees were stamped again on the inside of the card. 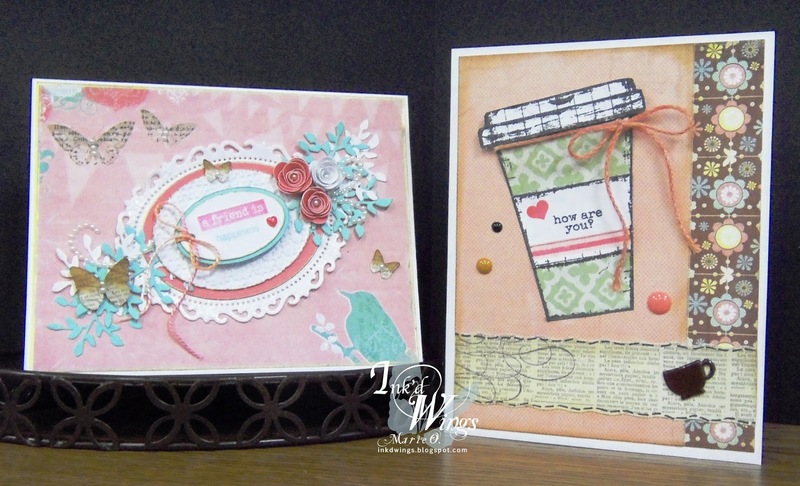 These first two cards were created by Ann. I love the complementary embossing, great color combo. Ann used one of the border stamps on the top of the left side card. The next two cards were created by yours truly. A little masking helped with these adorable stacked coffee cups.The border stamps were used under those tiny stacked cups. 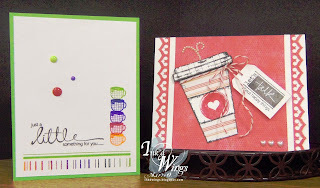 Love how the heart border compliments the heart on the coffee cup on the card on the right. Maria created these beauties...WOW teal and black is officially a favorite color combo for me! Stunning cards! Up next is Pamela. Love how the striped border (card on right) from the set matches the stripes on the coffee cup. The yellow ribbons and layered dies sure do convey the feeling of "warm"
Me again. Notice how the black and red card has no mention of coffee? 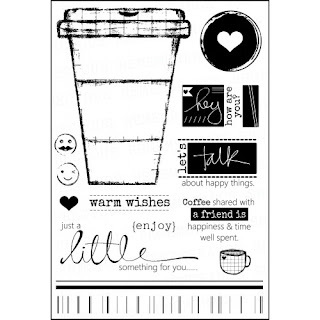 This stamp set has something for everyone even if you are not a "coffee" lover! 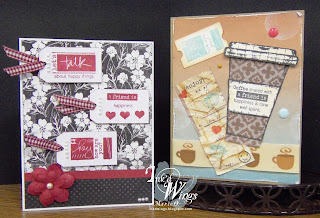 One classic card, one distressed card, one stamp set. 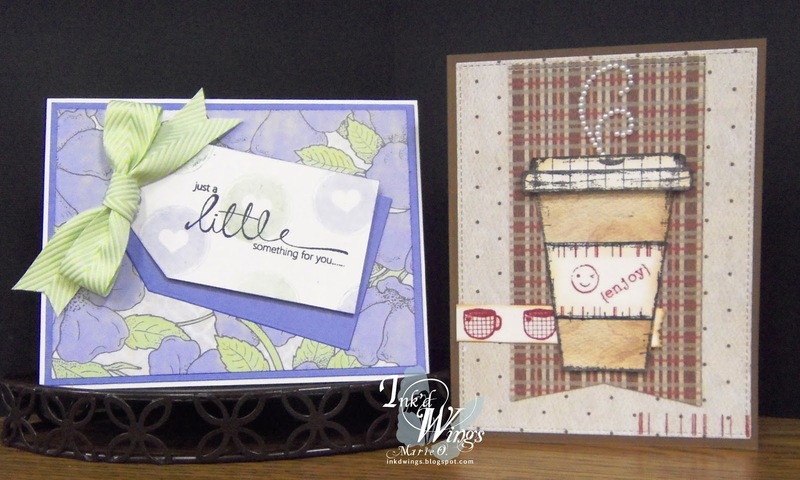 This delightful card was created by Luba. Love how the "a friend is" portion is popped up with foam tape. This is the inside from Luba's card. She actually fussy cut those tiny cups, just adorable! 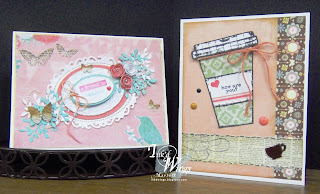 These cards were designed by Cathy, our resident CAS and anything tiny and delicate expert. Beauty in simplicity comes to mind. Once again the border stamp on the top and bottom of card on the right. As I mentioned...CAS, tiny, delicate...the insides of Cathy's cards. She also fussy cut the tiny cup and hand drew steam rising above the cup and used the border stamp to form a table for the cup to sit on! A couple more cards that I created, The card on the left shows no signs of coffee. 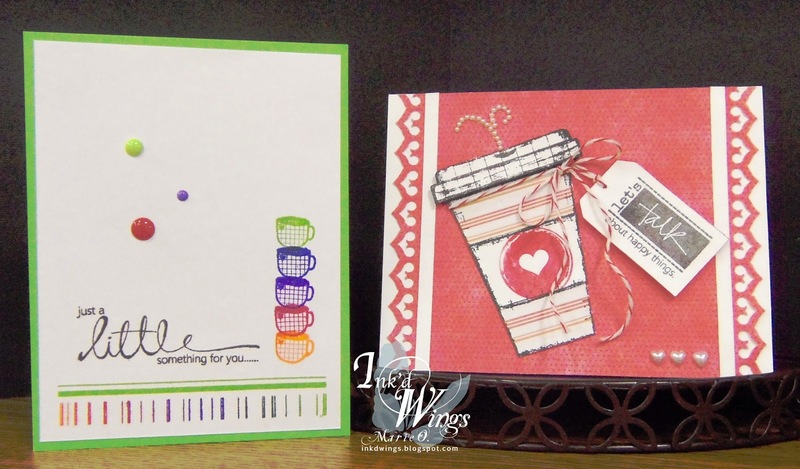 The border stamp was used on the card on the right near the bottom and around the holder on the cup. Almost looks like a UPC code. Bright yellow smiley face card and "something for you" card were created by Luba. She also used one of the border stamps several times beneath the coffee cup. Maria designed these great cards. Love how she used the circle stamp with the negative heart. She stamped it then used a smaller circle punch so that it would fit onto the cup holder. A little washi tape, and some twine sure do add a pop of color. One masculine, one feminine, one stamp set! Designed and created by Pamela. "A little something for you" really stands out in front of that embossed background. This final card with "gift" was created by Maria...how adorable is that? OMG what a FAB idea...wish I had thought of that. I hope you enjoyed our labor of "coffee" love. There were also some marvelous insides in these cards but in order to keep this post at a reasonable length, all of them were not shown. I have the pleasure of creating, chatting and sharing wonderful ideas with this marvelous group of talented ladies...what a lucky person I am...around of applause for these lovely "Lilac Inkers". Time for a Christmas/Holiday Challenge at Simon Says Stamp Wednesday Challenge. Wink of Stella was used on the pink cs pieces. Sending this "Christmas Blessing" to all. 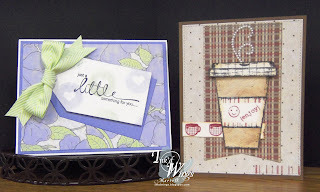 Having fun playing with inlaid die cuts for the Simon Says Stamp Wednesday Challenge. 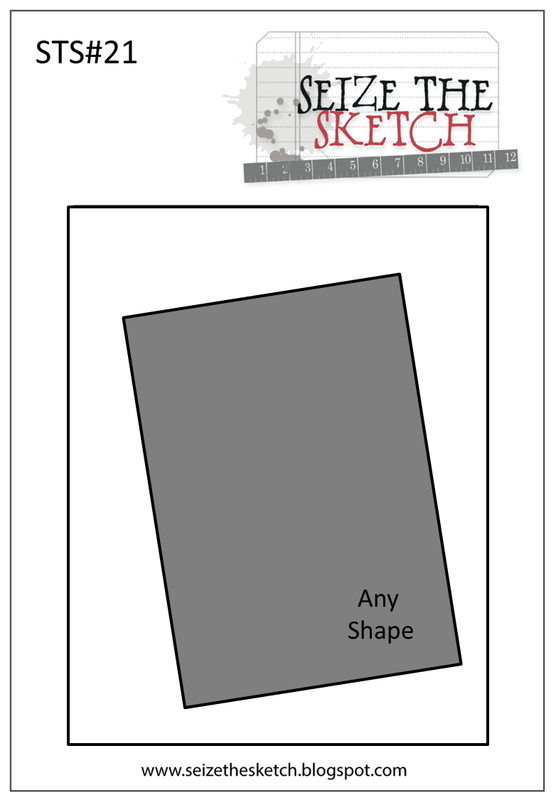 Continuing with my Paper Therapy from the previous blog posting. 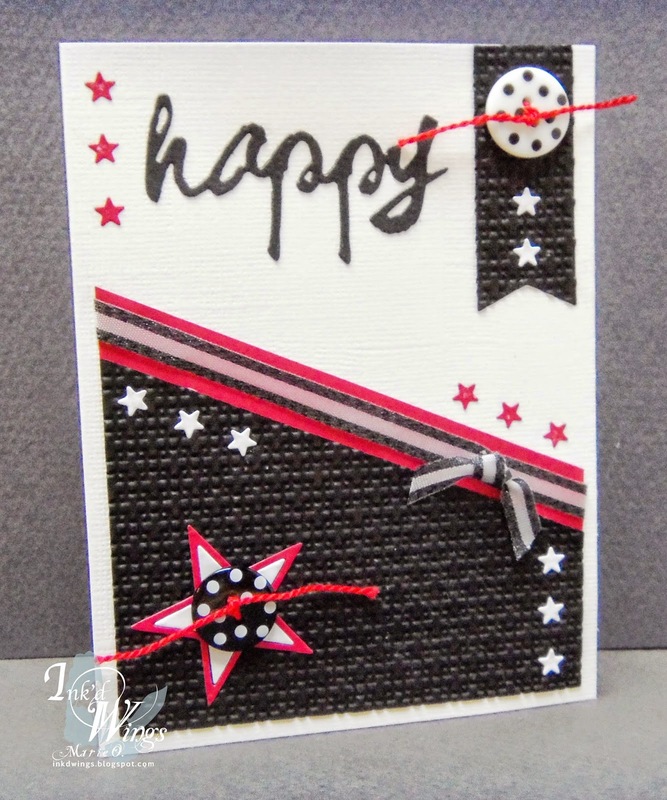 Here is another "We're Seeing Stars" card for the Simon Says Stamp Wednesday Challenge. If you search "Wikipedia" for types of 'therapies" about 100+ are listed. I am adding one today it is called "PAPER THERAPY". I find working with paper, creating cards and other paper crafted items, to be very therapeutic. Of course some background 'music therapy' always enhances the process. 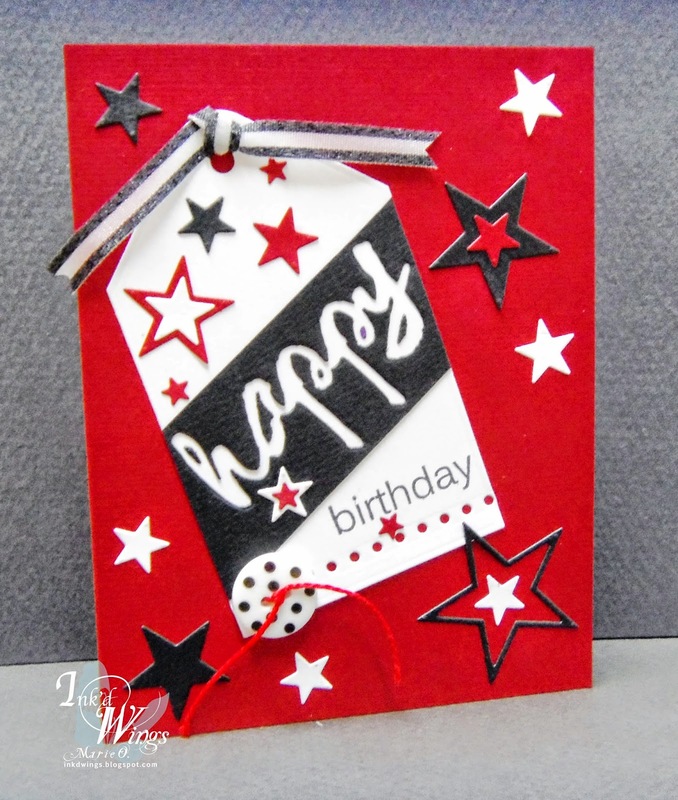 This card is for the Simon Says Stamp Wednesday Challenge which is "We're Seeing Stars". Sorry I have been AWOL since May. This year has been awful and I hope next year is better. In May my husband had TWO back to back life threatening medical issues. We were finally almost back to normal (if you can ever call our lives normal) and then our precious, smiley, kind-hearted, lovable six year old grandson, Trevor, passed away. He was a perfectly healthy young boy when he went to bed on Wednesday evening but was found unresponsive on Thursday morning. To say our family is "heart broken" is a massive understatement. As of today we have no answers as to why he passed away. This is a "Little Helpers" event which is taking place here in Rochester, word is spreading across the USA and other states have decided to join in for this worthy cause. For more information, please visit these sites. Please spread the word and help this worthy cause in remembrance or our beloved Trevor Damian George. One card for three challenges. 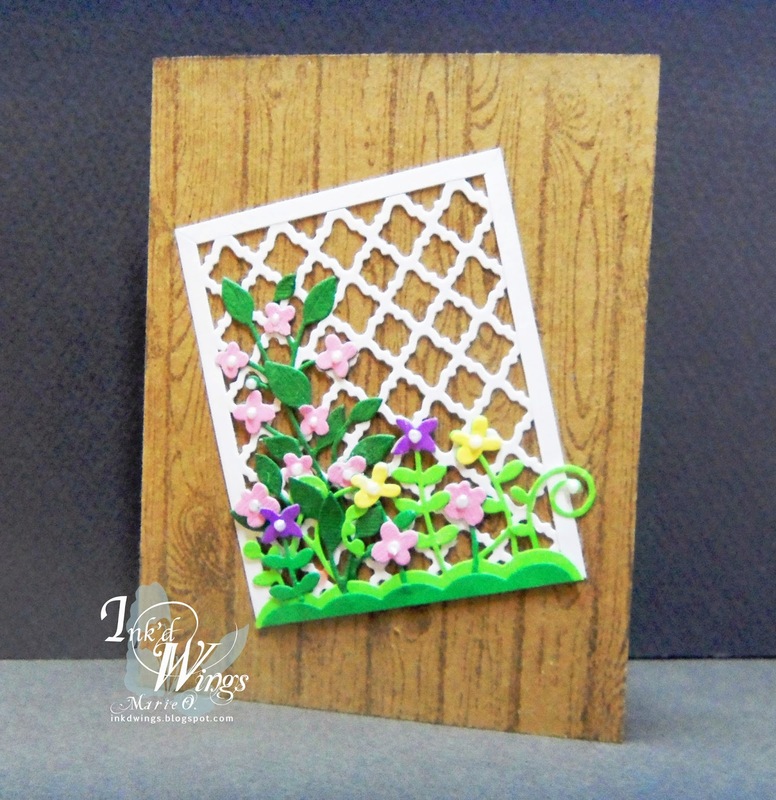 The challenge at Less Is More is to create a card using die cuts, I followed the great sketch at Seize The Sketch for my LO and used the Garden Party challenge at Catered Crop to complete this card. 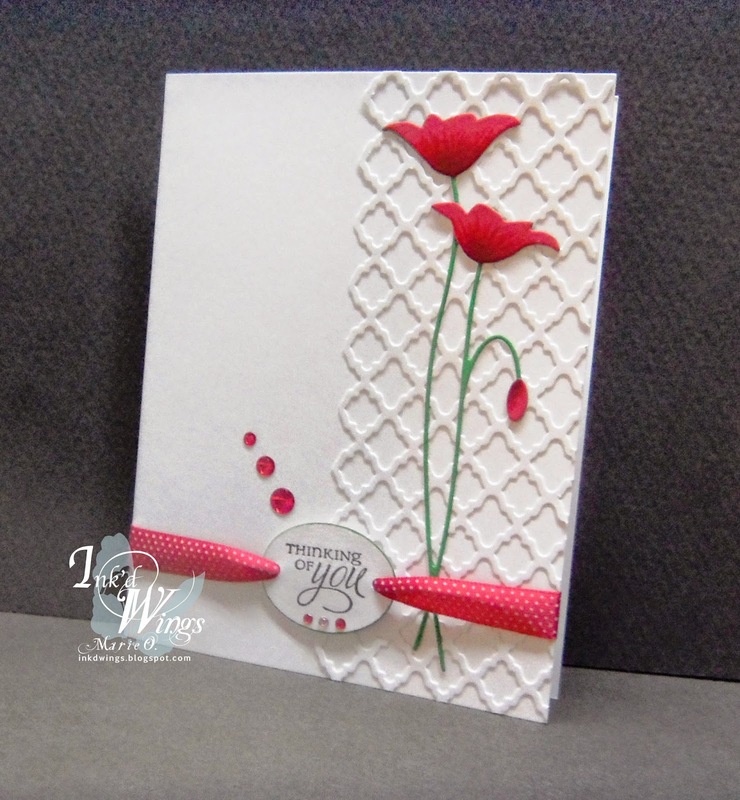 The fun challenge this week at Less is More is to create a card with 'flowers'. The design should have lots of white space, few layers and minimal embellishments. The cue card for CASology this week is 'FLOWER' and Ann from The Paper Players is challenging everyone to create a CAS floral card.